Pamela was born in Clifton, NJ and now reside in Great Neck NY. I attended the U of Maryland for Pre-Physical Therapy, in 1976; graduated from Hunter College School of Physical Therapy in 1980; and then pursued a MS in Motor Learning and a Doctorate in Health Education from Columbia University’s Teachers College in 1989; where I worked for my professor, at the NIH’s Arthritis and Musculoskeletal Disease Center at HSS and Cornell. With the support of the NIH Team, I was awarded a Doctorate Dissertation Award by the National Arthritis Foundation; and developed, conducted, and evaluated the first clinical trial of a 6-Week Walking Program for Older Adults with Knee Osteoarthritis. Our study was published in major medical journals and presented at both national and international conferences. I recently received a MS in Health Education from Hofstra University, to update my knowledge and skills in the area of Health. 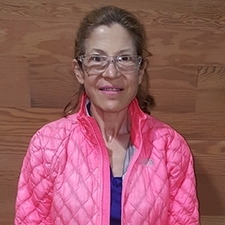 I have worked in many settings: Lincoln Hospital; The NYU Medical Center’s Rusk Institute of Rehabilitation; The Jewish Home and Hospital For The Aged [where I developed a passion to work with older individuals]; and then worked for Marathon PT, where I created a thriving Outpatient Private Practice for them in Garden City, NY. I took a Mommy Sabbatical to raise 3 beautiful children; and volunteered both in their school, teaching Physical Therapy Based Movement Programs to children and teens; and at our synagogue lecturing on the topic of Falls Prevention. In addition, I worked as an online Health Educator and made monthly television appearances on the Today’s Show, demonstrating strength training exercises for a Wellness Program. When I was no longer needed on the Home-Front, I returned to clinical practice; working first in Home Care; and then at the Amsterdam, in Port Washington, NY., where I developed a dynamic Outpatient PT Practice, for their Independent Living Residents.